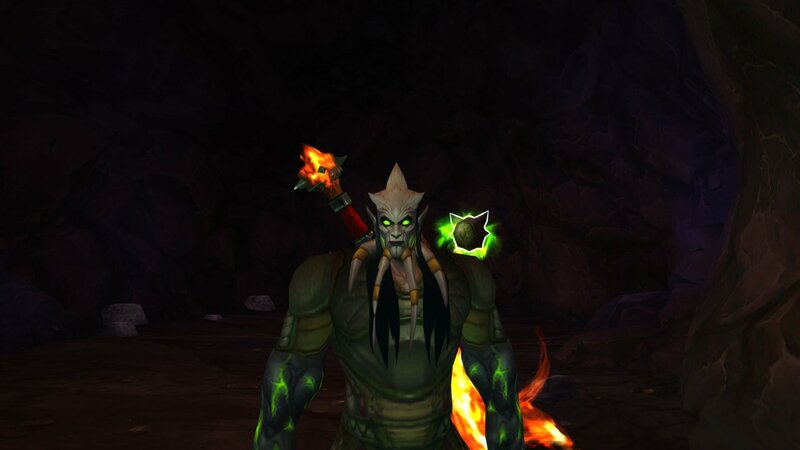 The All-Seer’s Focus is a new feature in Patch 7.3 where you disguise as a Legion eredar. 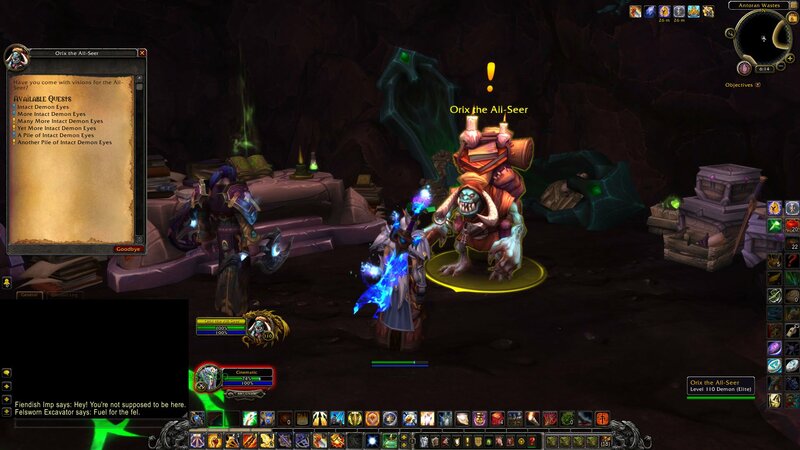 While disguised, you can’t enter Army of the Light outposts, and their NPCs will attack you. The disguise, however, won’t protect you from the Paraxis bombardment. The All-Seer’s Focus is not consumed, stays visible after clicking it, and all players can click it as many times as needed until it despawns. It provides a 1-hour buff named AGENT OF THE ALL-SEER: Disguised as an Agent of the All-Seer. Damage taken increased by 100%. Allows collection of intact Demon Eyes. 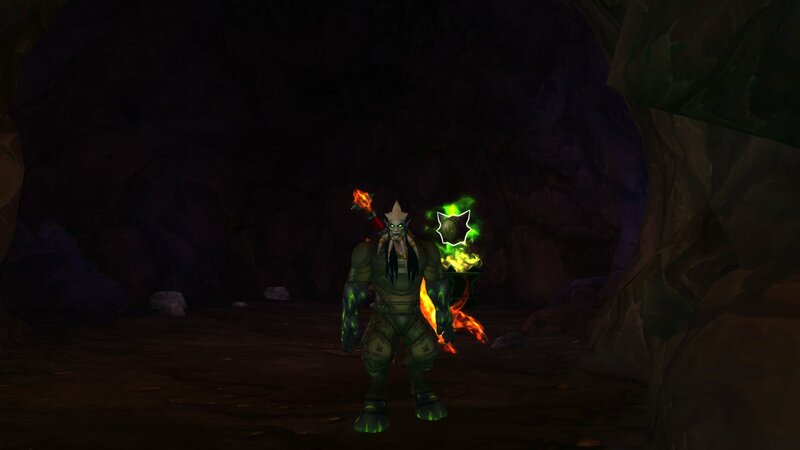 Orix the All-Seer can be found inside a small cave beneath the first bridge leading to Antorus, The Burning Throne at coordinates: 59.62, 44.98. He now has several turn-in quests to give him Demon Eyes in amounts of 25, 50, 200, 500, and 1000. 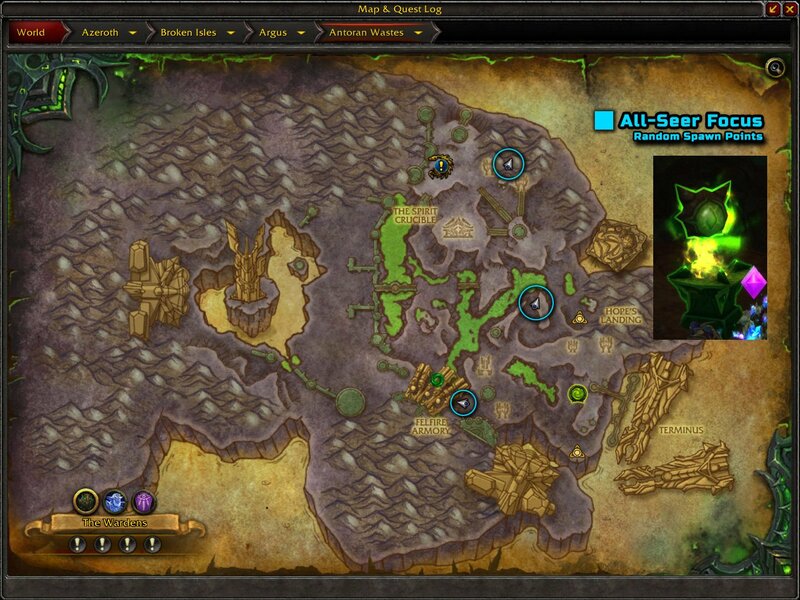 The Intact Demon Eyes can be looted from any kind of demon (normal, elite, rare elite) in the Antoran Wastes, ONLY when you have the Agent of the All-Seer buff from All-Seer’s Focus (or from All-Seer’s Draught). 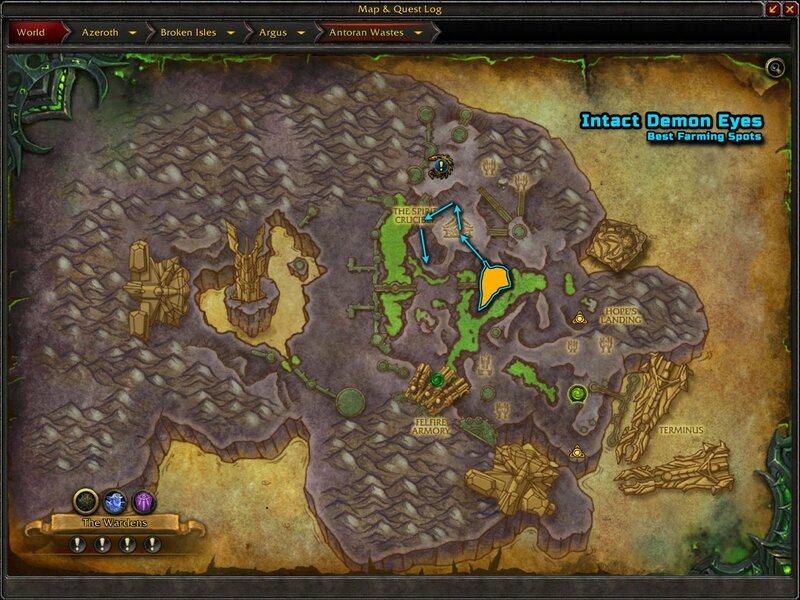 From observation, the best spot to farm these is at the Pits of Punishment (at 62.42) which has approximately 13-15 demons (including Wyrmtongue Scrounger and Felsworn Excavator). The Tormented Krokul are unfortunately humanoids. From there go to the big building to the north, cross through, and go down the ramp (behind the big building) into the Spirit Crucible. Sometimes you might be lucky to get 40 Intact Demon Eyes in a single trip. Or you can stay in the Spirit Crucible which spawns pretty quickly. 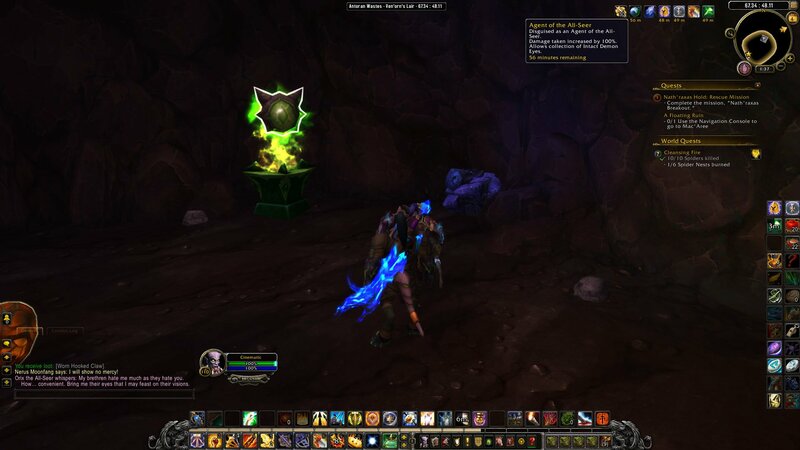 I stayed at the Spirit Crucible for an hour, and looted 278 Intact Demon Eyes in 1 hour. Note: Avoid aggroing too many casters. The buff increases your damage taken by 100%. On plate gear I have died in less than 5 seconds with more than 4 casters.